Historical topographical maps of the past two centuries document landscape and environmental conditions, which today are no longer preserved in their original diversity and regional typology. These maps show the cities and villages, the forests and fields, the roads and pathways and the water situation and river network. They show the dramatic changes before and after the agricultural reforms as well as the transportation and technological changes that happened substantially during the industrial age. Historical topographical maps provide a source of information for landscape and field science research. 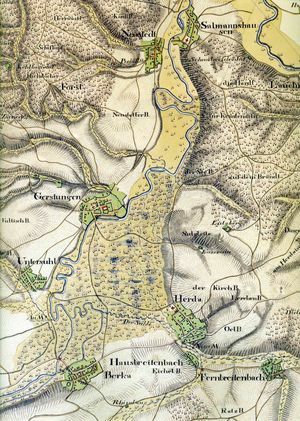 In particular, medium-scale maps such as the “Messtischblätter”, the large-scale field and cadastral maps give appropriate information that can’t be determined from the written documents. The essay introduces the most relevant topographical maps in Thuringia and assesses their value as resources for landscape analysis.